Pirates Of The Caribbean is a remarkable boat ride that begins in the sleepy bayous of Louisiana and ends in a dramatic trip through a city that's been ransacked and set ablaze by mischievous pirates. During the voyage you'll witness a cave full of buried treasure, a grandiose battle between a pirate ship and a Spanish fort, an auction with potential brides up for the bidding, and scores of pirates acting mischievously and not giving a hoot. Although these scenes from the Pirates Of The Caribbean sound serious, in true Disney fashion they are presented in a lighthearted and engaging style that will be enjoyed by folks of all ages. 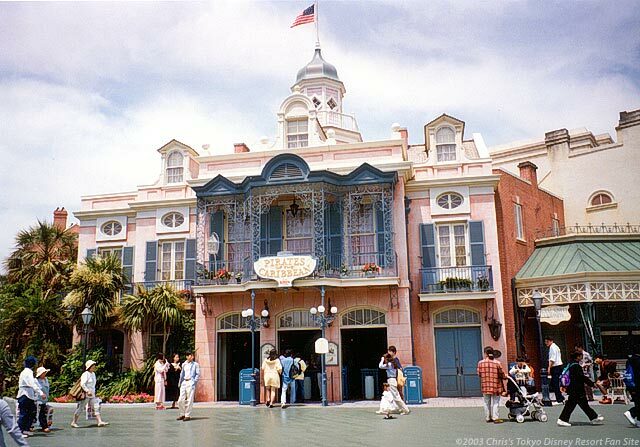 The Pirates Of The Caribbean has been around at Disneyland in the USA for a long time, and is one of the attractions that was originally conceived by Walt Disney himself. Although this is a perennial favorite in America, it's surprising to note that this attraction is not nearly as popular in Tokyo Disneyland. I can only assume that swashbuckling pirates are not as recognizable an icon as they are in the West. Although this attraction is by no means a thrill ride, there is one mild drop which may frighten some small children (and may delight others). There isn't a big indoor queue area like there is in most other Tokyo Disneyland attractions, but because there's seldom a long line this isn't a problem. The dialog in the attraction is a mixture of Japanese and English. 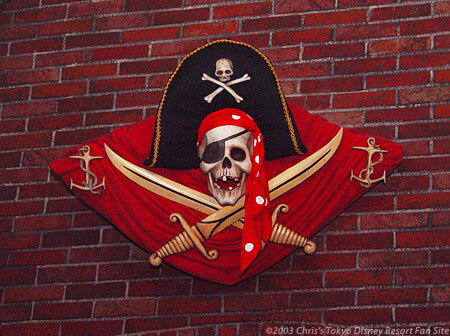 The Pirates Of The Caribbean is a classic Disney E-ticket attraction, and I'd recommend that everyone who visits Tokyo Disneyland take a ride, even if you've been on the American version. Visit later in the evening and you can usually walk right on; if nothing else, it be a good way to rest yer bones matey.